The Leadership Challenge Continues® Workshop is an innovative and flexible program that encourages leaders to remain focused on what they learned during their exposure to The Five Practices Model. Participants will be asked to reflect upon the small wins they experienced since their leadership journey began, practice specific skills and behaviors that will prepare them for the next steps in their journey, and move beyond self-development by identifying ways for using the Five Practices to develop their team members and achieve broader spheres of influence within their organizations. Emotional Intelligence (EI), team building, and creativity will be discussed as being critical elements for living the Five Practices. Are you up to the challenge? The Leadership Challenge Continues® Workshop will engage you and your leaders through experiential activities, workbook exercises, group problem-solving tasks, video cases, and lectures. Also, you’ll get plenty of hands-on practice applying The Five Practices leadership model to current organizational and personal leadership challenges. With a plan of action in-hand for taking the key learnings from the workshop back to the workplace, leaders will be prepared to implement these new leadership practices back on the job, beginning day 1. The Leadership Challenge Continues® Workshop is for experienced professionals who are currently or who will be asked to manage teams, to know the actions to take, and to have the confidence to take the actions needed for successful individual and team performance. These managers are responsible for leading other managers and/or professional staff. They are operational, group or department managers who have several management-level direct reports and work with multiple peers, often across functions. 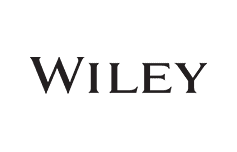 WILEY: Meirc is recognized as a Wiley Endorsed Training Partner. This means that Meirc is authorized to provide The Leadership Challenge® and The Challenge Continues, which are two of the most internationally recognized training courses on leadership. By attending these courses, participants will benefit from the exceptional resources made available by Meirc and Wiley and upon successfully completing each course, they will be awarded the internationally recognized certificate of The Leadership Challenge® in addition to the certificate they receive from Meirc Training & Consulting. DoubleTree Business Bay is a beautiful new hotel situated close to The Dubai Mall, downtown Boulevard, Burj Khalifa and Dubai Opera.